These are the addons required for the [LOL] New Majors server. While we strive to keep these downloads up to date, it is suggested that you use the Six Updater to stay current with addons that are used on the server. Description: If you do not have it, install Winrar or 7-Zip. Right click on @Modfolder.rar or .zip and from the menu select .Rar or 7-Zip > Extract Here. Copy the unzipped @Modfolder folder to your main ARMA II directory. Then right-click on your ARMA II OA shortcut on your desktop, go to properties and add @Modfolder to your addons. If you have not done so already, add the -nomap option. Example: -nomap -mod=@Mod1;@Mod2;@Mod3;@Mod4. This is Full Addon Pack contains all the addons you see below. Description: These addon packs is needed to join us, on our New Majors ARMA2 OA server.It conatains all the folders with all the addons you see below. Description: These addon packs are needed to join us, on our New Majors ARMA2 OA server. This also can be used if a addon is missing or got corrupeted. Description: This adds the ability to use clientside addons that have been approved by the clan. This must be at the begining of your shortcut. Description: Adds the island Panthera to your game. Unpack to your Arma 2 Directory and add @panthera to your target line for starting the game. Description: Adds the island Everon to your game. Unpack to your Arma 2 Directory and add @sap_everon to your target line for starting the game. Description: This adds the island Fallujah to your game. Unpack to your Arma 2 Directory and add @fallujah to your target line for starting the game. Description: This adds the island FRAN_quesh_kibrul to your game. Unpack to your Arma 2 Directory and add @FRAN_quesh_kibrul to your target line for starting the game. Description: Adds the island Thirsk and Thirsk Winter to your game. We also use @WinterCamos with this island. Unpack to your Arma 2 Directory and add @Thirsk to your target line for starting the game. Description: Adds the winter units for Thirsk to your game. Unpack to your Arma 2 Directory and add @WinterCamos to your target line for starting the game. Description: Adds the island Lingor to your game. This mod is dependant on @Lingor_units, @MBG_Buildings2 and @ibr_plants. Unpack to your Arma 2 Directory and add @Lingor to your target line for starting the game. Description: Adds the Lingor units to your game. This mod is a dependancy of @Lingor. Unpack to your Arma 2 Directory and add @Lingor_units to your target line for starting the game. Description: Adds additional buildings to your game. This mod is a dependancy of @Lingor. Unpack to your Arma 2 Directory and add @MBG_Buildings2 to your target line for starting the game. Description: Features plant textures and files. This mod is a dependancy of @Lingor. Unpack to your Arma 2 Directory and add @ibr_plants to your target line for starting the game. Description: Features building textures and files. Unpack to your Arma 2 Directory and add @ibr_rn to your target line for starting the game. Description: Adds the island Isla Duala to your game. Unpack to your Arma 2 Directory and add @isla_duala to your target line for starting the game. Description: Features foliage textures and files. Unpack to your Arma 2 Directory and add @brg_africa to your target line for starting the game. Description: Features building textures and files. Unpack to your Arma 2 Directory and add @ibr_dtowns to your target line for starting the game. Description: This adds the GLT f16 planes mod to your game. This mod is also dependant on the @GLT_MissileBox mod and the @GLT_RealAirWeapons mod, make sure you download and install them also. Unpack to your Arma 2 Directory and add @GLT_F16 to your target line for starting the game. Description: This adds the GLT Misslebox mod to your game. This mod is a dependant of the @GLT_F16 mod. Unpack to your Arma 2 Directory and add @GLT_MissileBox to your target line for starting the game. Description: This adds the GLT RealAirWeapons mod to your game. This mod is a dependant of the @GLT_F16 mod. Unpack to your Arma 2 Directory and add @GLT_RealAirWeapons to your target line for starting the game. Description: Adds the Coaler planes to your game. Unpack to your Arma 2 Directory and add @rkt_coaler to your target line for starting the game. Description: Adds enterable Killhouses to your game. Unpack to your Arma 2 Directory and add @MBG_KillHouses to your target line for starting the game. Description: Adds snakes to your game, get too close and you'll be bitten. Unpack to your Arma 2 Directory and add @csj_snake to your target line for starting the game. Description: Adds crocodiles to your game, get too close and you'll be bitten. Unpack to your Arma 2 Directory and add @chn_crocodile to your target line for starting the game. Description: Adds African buildings to your game. Unpack to your Arma 2 Directory and add @mbg_gen_afr_buildings to your target line for starting the game. Description: Adds MBG_2-eu buildings to your game. Unpack to your Arma 2 Directory and add @MBG_buildings2_eu to your target line for starting the game. Description: Adds MBG_Buildings2 to your game. Unpack to your Arma 2 Directory and add @MBG_Buildings2 to your target line for starting the game. Description: Adds ToraBora to your game. 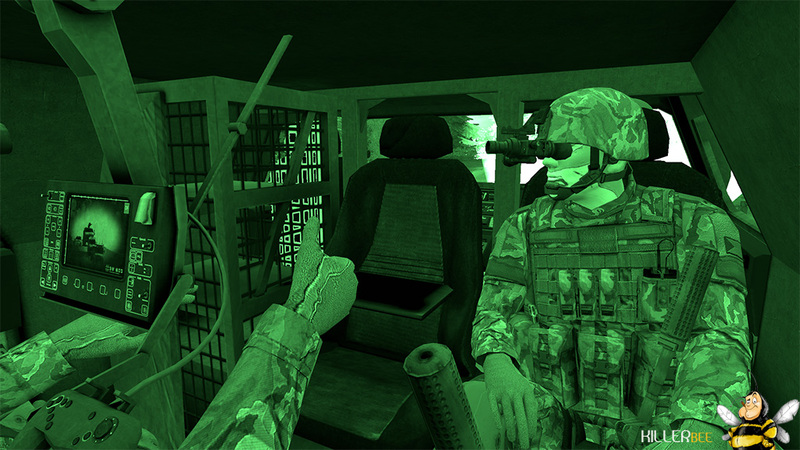 Unpack to your Arma 2 Directory and add @ToraBora to your target line for starting the game. Description: Adds Bush's Geotypical Microterrains - Carraigdubh, CO. Leitrim to your game. Unpack to your Arma 2 Directory and add @Carraigdubh to your target line for starting the game. Description: Here you can get the missions we wun on our New Majors ARMA2 OA server.